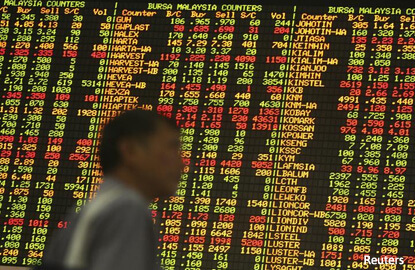 (March 21): Most Southeast Asian stock markets rose on Tuesday, in line with Asian peers on the prospects of a less hawkish US Federal Reserve policy trajectory. Expectations that the Fed will have to step up rate hikes to counter inflationary pressure from President Donald Trump's stimulus are also waning after the US central bank dropped no hints of an acceleration in credit tightening last week. Chicago Federal Reserve President Charles Evans, in one of the first official comments after the Fed raised rates as expected, reiterated that message on Monday. "For now I think the Federal Reserve's accommodative monetary stance is enough of a relief to drive the markets higher," said Taye Shim, head of research at Jakarta-based Mirae Asset Sekuritas, adding that investors were also factoring in the Fed stance that it would let inflation overshoot its 2% target. "There is a little bit more room for the Federal Reserve to manoeuvre its monetary policy. So I would not be so stuck with the Federal Reserve's guidance of three rate hikes this year, I think there is still possibility that it's going to be two rate hikes this year," said Shim. MSCI's broadest index of Asia-Pacific shares outside Japan rose 0.1%, staying near a 21-month high touched on Monday. Indonesian shares were headed for their sixth session of gains in seven, supported by energy and financial stocks. Coal mines operator Baramulti Sukses Sarana Tbk and PT Bank Central Asia Tbk both hit record highs, gaining as much as 24.14% and 1.24% respectively. Philippine shares also climbed on the back of gains in industrials and financials. International Container Terminal Services Inc rose as much as 4.2%, while BDO Unibank Inc climbed up to 1.7%. Thailand eked out a marginal gain, extending gains into a fourth straight session, with energy stocks accounting for more than half of the gains. Malaysia rose as much as 0.5% to its highest since May 2015. Malayan Banking Bhd gained 1%.